Long before the post-Smokey Robinson Miracles found their zenith in 1975 with the pop-disco of “Love Machine” and the concept LP City Of Angels, the reenergized quartet turned in two classic albums that seamlessly melded classy vocal group soul and black dance music. Overshadowed by Motown albums of greater acclaim for decades, Renaissance (1973) and Do It Baby (1974) featured some of the group’s tightest vocals and thoughtful textures from a broad range of producers. Like the Supremes and the Impressions, the Miracles rose to the challenge of working a new lead singer – in this case talented Baltimore native Billy Griffin – into the tapestry of an iconic group. Now, to the delight of fans, both albums have been restored to the U.S. marketplace via a beautifully packaged, single-disc special edition from Hip-O Select. As I wrote a while back in an entry about Renaissance, the album was remarkably consistent when you consider the fact that 10 different producers were used to create it. 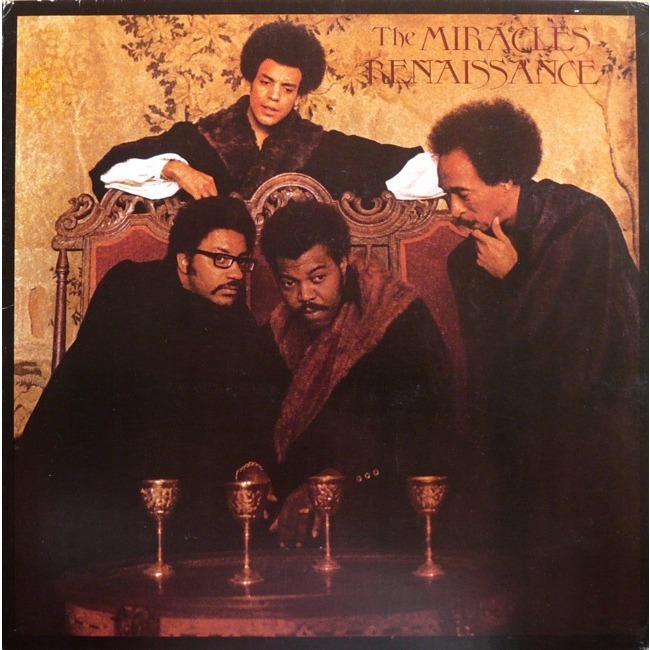 A lovely patchwork of compositions that rolled out the red carpet for Griffin and fully utilized original Miracles Pete Moore, Ronnie White and Bobby Rogers, it wasn’t a singles vehicle – which was likely part of the problem when it came to selling it to the public. Save for the wonderfully harmonized, effervescent dancer “What Is A Heart Good For” (which resurfaced on Do It Baby) there really weren’t many obvious, Top 40-friendly cuts of which to speak. That’s not a bad thing, as there was a mercurial resonance that made the sum of its parts more powerful than any possible hit the label could have plucked from the batch. There were many highlights: The clever “Wigs And Lashes” remains a timeless commentary on the dynamics of male-female relationships, while “I Love You Secretly,” a rare Marvin Gaye production, featured one of Griffin’s most engaging lead vocals and emerged as a pivotal moment for the reconfigured combo. Elsewhere, the bouncy “I Don’t Need No Reason” and the moderate R&B hit “Don’t Let It End (‘Til You Let It Begin)” – which was issued after “What Is A Heart Good For” was cancelled as the first single – found the seasoned blends synonymous with the group’s sixties output intact. Though the album stalled at #174 pop and #33 R&B, it was a first-rate, artful vehicle to introduce the Griffin era. Still, this was Motown, and they wanted hits. 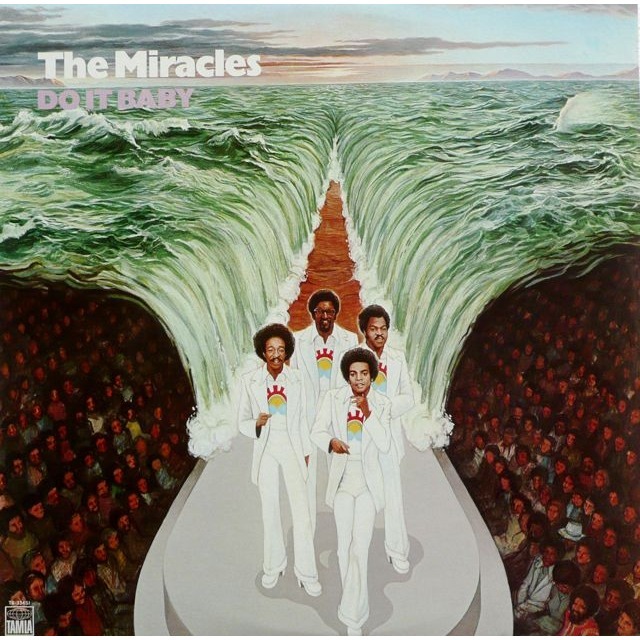 Mr. Gordy and company got their wish with Do It Baby, an LP far more commercial and youthful in its overall presentation and packaging that climbed to #41 pop and #4 R&B. While not the creative triumph of its predecessor it was arguably more exciting throughout, having capitalized on the slow-building disco movement that fused black, Latino and gay cultures – and naturally, the album’s key moments were its pulsating, sensual grooves. The best among them was the smash title track, a Freddie Perren production that minted the new group’s formula in one stroke: lush, symphonic grooves buoyed by knowing harmonies and sly, supple lyrics. More importantly, the trappings of mid-tempo club cuts brought out the unbridled sexuality of Griffin’s falsetto, something that set him apart from sky-scraping crooners like Stylistic Russell Thompkins Jr. and even Robinson himself. The singer also excelled on the album’s funky first single “Give Me Just Another Day” and “We Feel the Same,” but it was the hard-charged “Can’t Get Ready For Losing You” – first recorded by the Jackson 5 – that provided a truly epic showcase for his stratospheric range. Powered by relentless horn and rhythm sections, it was proof that the Motown machine got disco right when the proper elements came together, something that few observers readily acknowledge in their musings on the company’s Los Angeles incarnation. The ballads, while pleasant and well executed, weren’t as uniformly strong as the up-tempo material primarily because they seemed more appropriate for a younger group: “Up Again,” which first appeared on Michael Jackson’s Music & Me and the Brit-soul chestnut “Where Are You Going To My Love” simply veer too far into the bubblegum zone; “You Are Love” is long on platitudes and short on real emotion. However, “A Foolish Thing To Say” and the intricately arranged “Calling Out Your Name” were rendered with the intimacy and intelligence that colored the best moments from Renaissance, adding a layer of sincerity to the proceedings. But that’s not the end of the story. A hit in a time preceding the deification of superstar DJs and remixers, “Do It Baby” didn’t benefit from the virtues of an extended 12-inch variation. That is remedied here thanks to the preternatural Tom Moulton who, through his use of the original tracks and an alternate vocal take, transforms the song from seminal Motown dance floor burner to ominous clubland tour de force. Clocking in at more than seven minutes and sporting a spacey instrumental intro, this reinvention easily stands up against Moulton’s classics for Grace Jones and First Choice, bringing out the purest aspects of the song’s musicality in the process. Crafted especially for this release, it gives the Miracles their rightful place in the pantheon of nascent dance music and deepens the significance of this woefully undervalued period in the group’s history. Complete with informative liner notes by chronicler Peter Doggett, full chart annotation and lively photos, Hip-O Select’s treatment of Renaissance and Do It Baby more than does the albums justice, as it is on par with the imprint’s titles on the likes of the Marvelettes, DeBarge, the seventies Supremes, Teena Marie and Tammi Terrell. Hopefully, the guaranteed success of this collection will push Don’t Cha Love It (1975) and The Power of Music (1976) into the reissue pipeline. 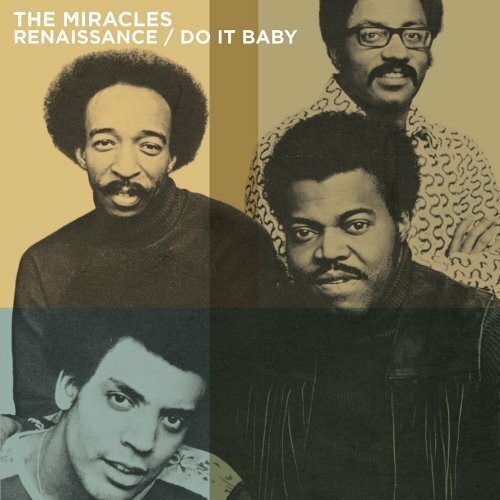 In the meantime, longtime Miracles devotees – and some newbies, too – can bask in what was an infinitely listenable sweet beginning for a foursome that proved they were more than their former star singer – and formidable contributors to the ever-widening vision of the Motown stable. To purchase the single disc edition of Renaissance and Do It Baby, click here. This entry was posted in Crooner examination, Michael Jackson, Soul examination, The Jacksons. Bookmark the permalink.